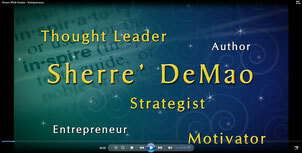 March 25, 2013 - Are your resources limited? Is your lack of resources limiting what you are trying to accomplish? Or, is it more that you think that your resources are limited? It may be time to focus on how you can be more resourceful versus limited in your thinking. If you believe you are limited, then you are limited. If you believe there has to be a way to accomplish what you are setting out to accomplish, in spite of anything thrown in your way, you will find a way.